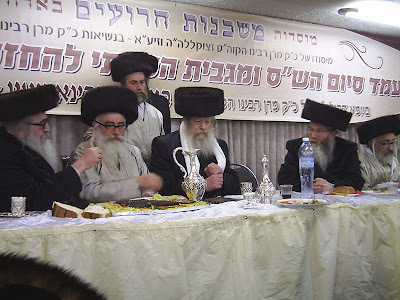 Every Sukkot, Rabbi Mordechai Machlis keeps on telling the same story about a kosher Sukka in Auschwitz. He does it for his family and his many many guests. This story is about his friend and teacher Rabbi Yitzchak Traube. Rabbi Machlis always concludes with the words that he does not know whether anything similar ever happened or whether this story has ever been published before. Listeners are always shocked. 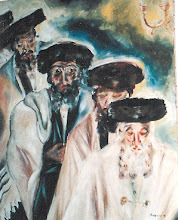 I want to share the story with others in remembrance of Rabbi Yitzchak Traube. Rabbi Yitzchak Traube was imprisoned in the Auschwitz death camp for quite a while. Every morning, he and other prisoners were forced to walk along a certain road within the camp in order to get to work. The festival of Sukkot was approaching, and as Rabbi Traube walked along the road when he saw little branches laying there. He looked aside and saw a building which looked more like a ruin. Only the walls were left but without a roof. From now on, every day he pushed with his feet more and more branches to the side of the road. He had to be very careful because the guards might suspect something. On Erev Sukkot, he left his barrack and ran to the place where he had pushed the branches. One cannot imagine in what danger he was. Leaving the barrack at night and being caught meant instant death. However, the rabbi was lucky. He put the branches over the walls, and this way he built a kosher Sukkah. Additionally, he had saved up some bread which he ate. In the middle of Auschwitz, he fulfilled the Mitzvah of making a blessing on food and sitting in a kosher Sukkah.